Canadian-based couple Ruth and Kyle chose magnificent Main Beach to hold their 10 year vow renewal. The day was stormy, cloudy and dark!! But, it didn’t dampen the brightness felt in their hearts. Of the Anglican faith, we had the Reverend Stewart Parry on board to officiate their ceremony. The celebrations continued into the night at the nearby Southport Yacht Club. Guests came from Fiji, Canada, New Zealand and northern Queensland to celebrate in such a special day. Beautiful couple and beautiful blooms captured by our amazing photographer Amy De Boer. Vow renewal’s are such a great way to celebrate 10 years together. These hands are now ready for another 10 years of holding. We just received these beautiful images from Maryam & Bill’s wedding day and we are so excited to feature them in our first blog post. Their day was truly a graceful affair that captivated everyone. Coolibah Downs Private Estate is a beautiful venue with a natural rustic vibe. It offers plenty of room among the gardens and has accommodation for the bridal party to get ready. The ceremony was set up in the Croquet Lawn with tiffany white chairs facing a glamorous arbour that featured taupe draping and purple florals nestled in its corner. It was a combination of elegance and simplicity. Maryam & Bill were taken around Coolibah Downs Private Estate to capture their beautiful moments by Rezolution Photography. The picturesque venue created magical moments that will be able to be treasured for a lifetime. In celebration of the happy couple, the reception was held in a beautiful, grand marquee draped decoratively with hanging chandeliers. The tables carried with the wedding theme of eggplant and white. The tables featured tall vases with flowing tulips as centrepieces. The bride and groom decided on favours of mini cheese knives and mini photo frames that were placed on each table for each of their guests. The newlyweds continued to celebrate their marriage with family and friends into the night. It was a pleasure to be a part of this beautiful day and we wish Bill & Maryam a lifetime of happiness together! 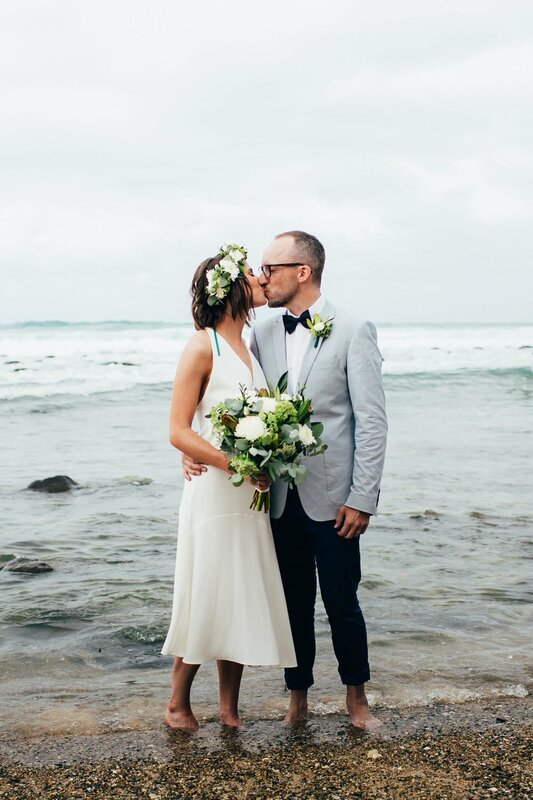 Planning, Styling & Coordination: Gold Coast Pop Up Weddings / The Agency Wedding and Events.